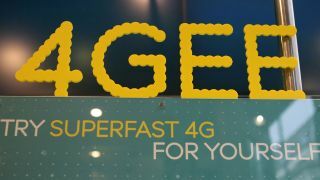 EE, the first carrier to introduce 4G to the UK, is on a quest to make its superfast network accessible to all with a range of new tariffs and propositions. 4G was launched by EE last year - almost 12 months ahead of its rivals - and now boasts a presence in 117 towns and cities in the UK, covering 60% of the population and it aims to be in 140 locations before the year is out. Among the new announcements is the launch of the UK's first 4G pay-as-you-go service as well as a new, cheaper pay monthly entry point for its LTE service. First up is the news that customers will be able to pick themselves up PAYG 4G deals, with all 15 handsets on the pay monthly tariffs making the jump to the pre-pay set up. We're yet to get prices for all the handsets, but EE has confirmed the Nokia Lumia 625 will be available at £149.99, while the upcoming Alcatel One Touch Idol S will be £129.99. Six data bundles will be available for PAYG customers, with 100MB setting you back £3 for a month, while the top billing 10GB will cost you a hefty £30 each month. You'll more likely be eyeing up the 1GB (£10) and 2GB (£15) offerings, while minutes and texts will also be available to purchase in bundles. Another step EE is taking to make 4G available to more people is reworking its pay monthly tariffs, with the cheapest option starting at £18.99 (it's currently £26). EE has shifted all its pay monthly bands, with seven tariffs now available to customers. Three of these tariffs are standard 4G plans, offering customers theoretical top speeds of 30Mbps, and average speeds of 12-15Mbps. These are the cheapest trio, with 500MB, 2GB and 5GB from £18.99, £23.99 and £29.99 per month respectively. We say from, as the monthly price will fluctuate depending on the handset you select. The latter two also offer unlimited calls and texts, while the cheapest option will limit you to 1000 minutes. However the other four tariffs in the line up of seven are what EE is billing as its 4GEE Extra plans, designed specifically for the super users out there. All sport unlimited calls and texts, a decent chunk of data and no speed cap, allowing you to get up to a potential maximum of 150Mbps - although you'll be highly unlikely ever to see that top speed. Another added benefit of shelling out more cash for an Extra tariff is the fact you'll get inclusive calls and texts in over 30 countries including the US, Australia and several European territories. Prices start at £26.99 per month which gets you 4GB of data, with 10GB starting from £32.99, 20GB £37.99 and the top end 50GB sporting a flat fee of a wallet busting £74.99. As with the standard rates monthly costs will vary depending on which handset you select, although the top end tariff won't change. Has 4G gone from super-fast to cant-be-arsed? If you're rocking a 4G-enabled tablet then you'll be pleased to learn EE has also spruced up its mobile broadband tariffs. You'll now get 20GB of data for £36 per month on a two year contract, and if that's not enough 50GB can be yours for £50 each month. EE's PAYG tariffs, new pay monthly plans and mobile broadband upgrades will go on sale from October 30, so you've got a week or so to scrape together the pennies and get yourself down to a store.